Metal Gear Solid V: The Phantom Pain PC specs released, Konami has moved up the launch of the PC release so that it coincides with the console release. 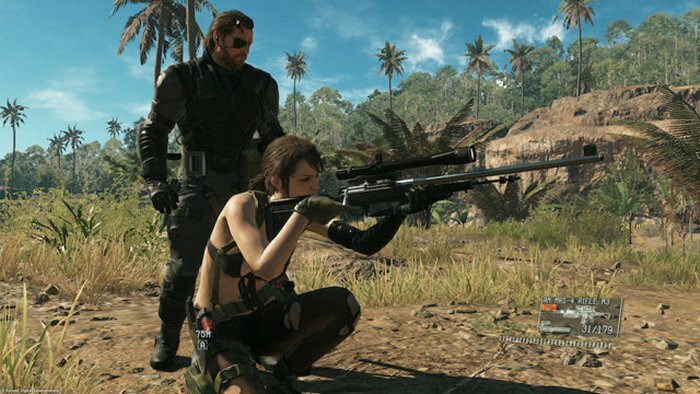 Konami community manager Robert Peeler, a post on the Steam forums has revealed what kind of hardware gamers will need to run the game. Let’s start with the minimum: you will need an Intel Core i5-4660 clocked at 3.4GHz or better. A minimum of 4GB of RAM, an NVIDIA GeForce GTX 650 with 2GB of VRAM or higher, along with 28GB of storage. Recommended specs: Intel Core i7-4790 clocked at 3.6GHz or better. It is also recommended you have 8GB of RAM, and an NVIDIA GeForce GTX 760 or better. For both minimum and recommended specs, you should also run Windows 7 64-bit or higher. We haven’t heard anything about Windows 10 support yet.